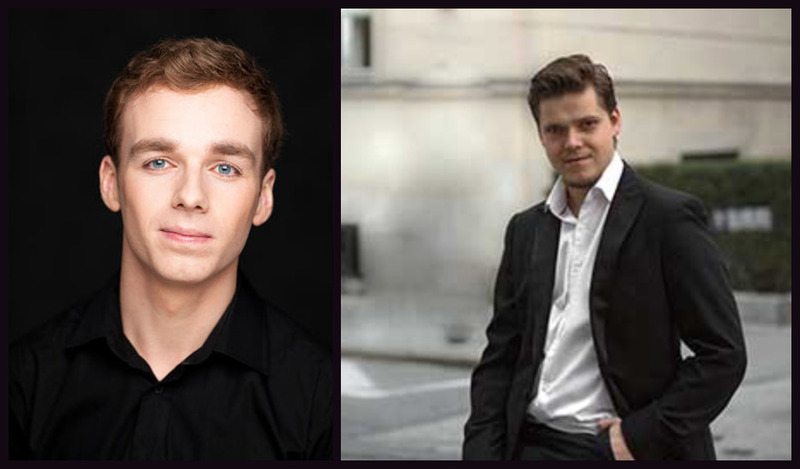 The final 16 singers at the 51st International Vocal Competition 's-Hertogenbosch have been announced and it includes two low voices, Peter Kellner and Padraic Rowan. The finalist were pared down from 46 singers participants from the preliminary rounds. Those taking part in the Competition will also be given the opportunity to take part in master classes and a summer school; they will also be put in contact with various opera studios, orchestras and impresarios. The final competition will be held from September 8-17, 2016. During the 2015-16 season Slovakian bass-barihunk Peter Kellner is a member of Oper Graz, where he is singing Basilio in Rossini's Il barbiere di Siviglia and Osmin in Mozart's Die Entführung aus dem Serail. In the 2014/2015 season, he performed several roles in at Oldenburgisches Staatstheater including Bartolo in Mozart's Le nozze di Figaro and the title role of Handel's Hercules. In 2013, he made his debuts with the Salzburg Festival, the Royal Liverpool Philharmonic Orchestra and at the Macao International Music Festival. Twenty-five year old Irish barihunk Padraic Rowan graduated from the Royal Irish Academy of Music in 2013 with a Masters in Music Performance. He made his Wigmore Hall debut this November as a finalist in the Maureen Lehan Vocal Awards. Last June, he reached the semi-finals of the 34th International Hans Gabor Belvedere Singing Competition in Amsterdam. This summer, Padraic participated in the Handel Residency at the Académie du Festival d'Aix-en-Provence in France, working with renowned French conductor and harpsichordist, Emmanuelle Haïm. You can hear audio of him HERE. The International Vocal Competition ’s-Hertogenbosch (IVC) was founded in 1954 and is the sole classical vocal competition in the Netherlands that involves oratorio and art song as well as opera, with a focus on 20th century and contemporary music. It is a unique cultural institution with long-standing connections to the province of Noord-Brabant and to the city of ’s-Hertogenbosch. Prize winners from the last 60 years include Thomas Hampson, Jevgeni Nesterenko, Robert Holl, Elly Ameling, Jules Bastin, Measha Brueggergosman, Cora Burggraaf, John Bröcheler, Viorica Cortez, Ileana Cotrubas, Howard Haskin, Petra Lang, Yvonne Minton, Nelly Miricioiu, Jard van Nes, Vladimir Pankratov, Margriet van Reisen, Lenneke Ruiten, Wolfgang Schöne, Henk Smit, Elzbieta Szmytka, Pretty Yende and Ruth Ziesak. You can enjoy 18 of opera's hottest me in our new 2016 Barihunks calendar. You can order before the holiday rush HERE. Proceeds will fund a song prize for baritones/basses, as well as commissions for new music. You can also enjoy the Marco Vassalli calendar by clicking HERE. Proceeds from the sale will go to fund his US debut in January.